I recently completed my rigorous and inspiring MLIS program at Kent State University’s iSchool, whose professors such as Dr. Meghan Harper and Professor Mary Anne Nichols are not only heavily involved in their own professional paths but also passionate about getting their students to see how many opportunities there are in our field. 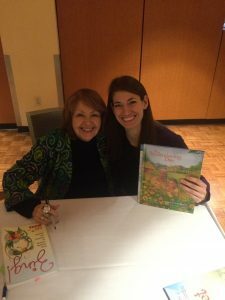 Like the last guest contributor, ALSC Student Gift Membership recipient Angela Bair, my roots of ALSC involvement stem from Dr. Marianne Martens, who also modeled involvement as the chair of ALSC’s 2017 Notable Children’s Recordings Committee. 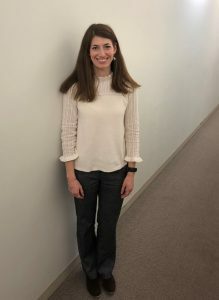 As you will see, the goodwill within my program grew to goodwill in ALSC, which helps me continue to learn, stay connected, and take on new endeavors. In Patrick Gall’s welcome email about my ALSC Student Membership, he stated, “[I] look forward to helping you navigate our wonderful organization! 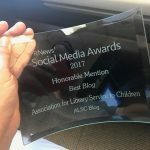 Please let me know if you have any questions about ALSC – if I can’t answer them, I’ll find someone who can.” In Elizabeth Serrano’s email about this post, she wrote, “congratulations on graduating and getting your first library position! I’m excited about your post as it could offer a lot of insight on the journey with ALSC/career/school.” My main question so far has been a rhetorical, “how fantastic is it that there are so many dedicated, creative, and altruistic people in this organization and in this field?” My main insight so far has been that dreaming big and staying firmly rooted in the beliefs, goals, and passion that I have and that ALSC inspires works wonders. I love being a children’s librarian, since you can give a big smile to an older student or adult and they may in some cases need to take a moment to shed their stresses or inhibitions before smiling back, but if you give a big smile to a child, they will give you a big grin right back. 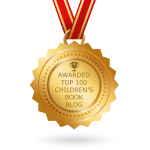 I am hooked on the immediacy of impact and reciprocal energy I get from teaching and working with young children. Let me highlight one of my favorite ALSC resources, which helped bridge my school and work experiences. As a graduate assistant at Kent State University, I was fortunate to be able to help prepare for and attend the 33rd Annual Virginia Hamilton Conference on Multicultural Literature for Children that took place on April 6 and 7, 2017. Meeting featured speaker Pat Mora and hearing the keynote presentation about her literacy initiative, Día, made me note her works and her day as something to use in my future positions working directly with children, families, and communities. 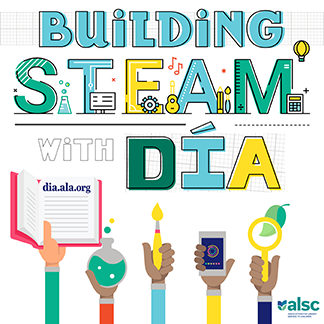 ALSC has further helped cement this goal because “Building STEAM with Día: The Whys and Hows to Getting Started” is one of their archived webinars. Although I could have started a work proposal for my own 2018 Día event around my enthusiasm for and experience with her works – and I do get a kick out of talking to kids about my autographed books, as they are learning to “autograph” their names on any coloring sheet or art project they complete – it was ALSC’s robust resources and support that made me confident it could be an excellent, high-quality event. heard, or learned about to another situation. 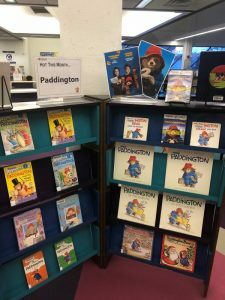 For example, the books I put on a work display in January and the movie I just saw in theatres gave me an idea for this post. In Paddington 2 (StudioCanal, 2017), the main characters put the supposedly random skills they’re working on – learning about steam engine trains, training to swim the English channel, practicing yoga (“Chakrobatics”), and publishing a student newspaper – to good use to save the day. The way these tangential details add up and weave together reminds me of how the ALSC Student Membership gift fits in with many other experiences to give me the strongest impact I can have. ALSC, as an organization, and ALSC members, have the breadth and depth of knowledge and the habit of sharing generously to make lifelong learning possible and enjoyable. Avidly reading ALSC blog posts feeds into the ability to diversify my interests and skill sets, as I never know what will transfer to a new environment or come in handy at an unexpected time or in an unexpected way. With exposure and easy access, I’ll be primed to think of it and make the connection or application in my work some day if I couldn’t use it immediately. If you have any early career advice, ideas for collaboration, or other opportunities, connect with me through the contact form on my site. Do you have your own favorite ALSC resources or thoughts to share? Please leave them in a comment below!